Stunning custom home on the golf course with panoramic oceanviews! Looking for a "wow" house? Look no further, this house has it all. 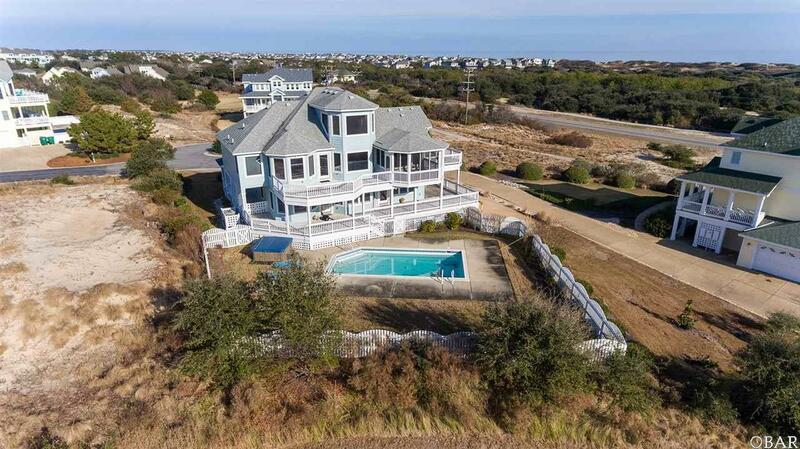 The property backs up to the green on one of the Outer Banks' premier golf courses, The Currituck Club. Its high elevation gives you clear views to the ocean and to the tee box of hole #11. The house itself has a desirable open floor plan upstairs with the kitchen, dining room, and living room being open to each other with views everywhere. 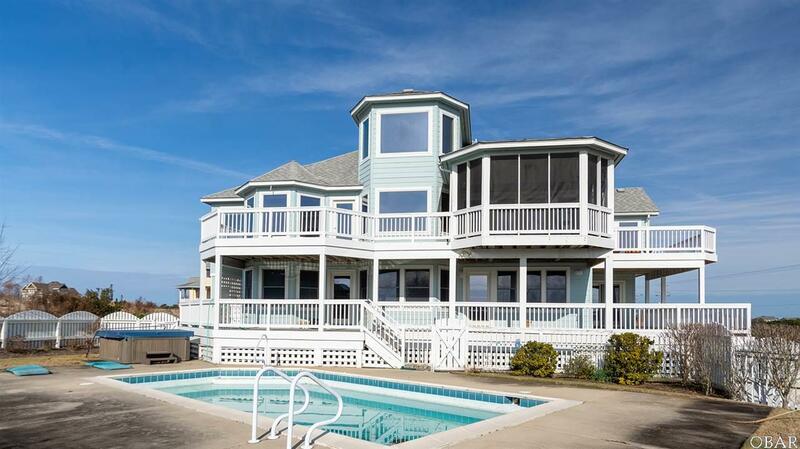 Many additional rooms and features such as the library, office/study/game room, sun room, sun deck, screened porch, ships watch, concrete hurricane room, 2 car garage, and elevator. Four of the bedrooms are masters with their own private deck access. The room with green walls can easily have a closet added for 6th bedroom. Not to be outmatched, the exterior and the landscaped grounds offer much to enjoy. Vast decking wrapping around a majority of the house. The backyard is fenced in with a private pool, hot tub, and green space. 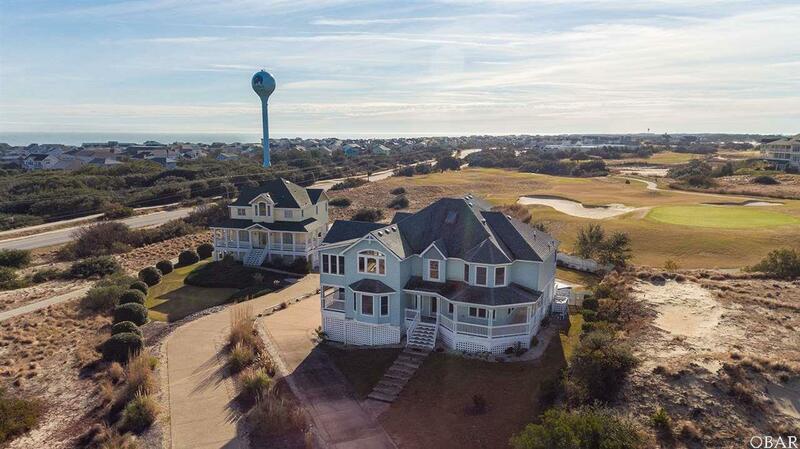 The Currituck Club community offers an array of amenities to enjoy such as a fitness center, outdoor pools, tennis courts, basketball courts, playground, beach access with snack bar, valet at oceanfront area to carry your beach gear, and even a trolley system that takes you to the beach! This truly is a property that's hard to find. 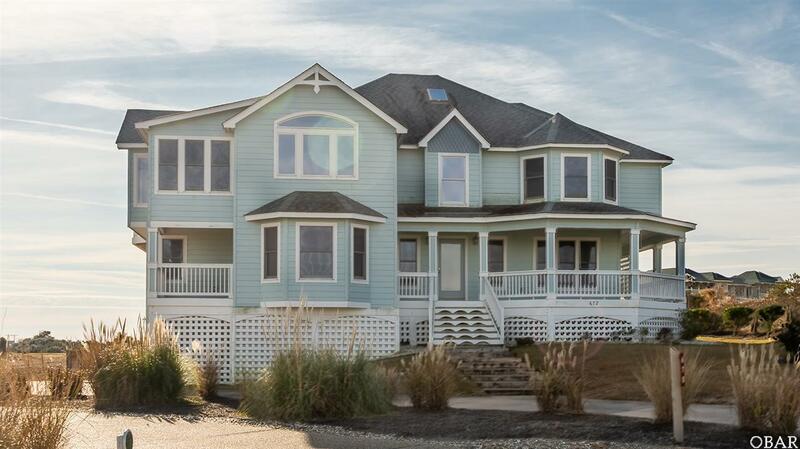 Act now and come see one of the more unique properties in Corolla! Listing courtesy of Steven Gross of Twiddy & Company - Corolla.